Kagami VS Miku. . HD Wallpaper and background images in the Vocaloid club tagged: vocaloid miku crossover lucky star kagami. 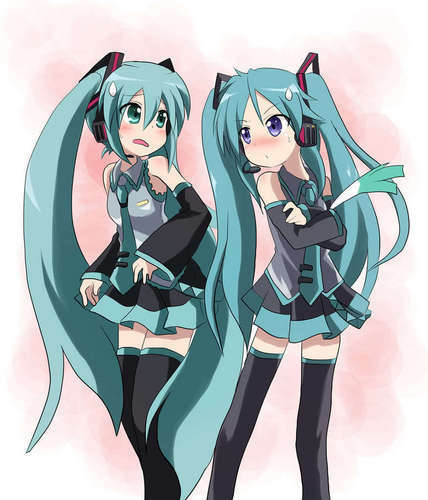 xD Miku is spooked by another person dat's similar to her~~~ Kagami-chan's blushing kawai~!! Not to sound stupid but...whats the diffrence?..